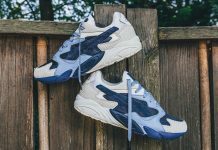 ASICS GEL-Kayano Trainer "Black Ash"
ASICS has reached back into the vault to deliver a rework of the classic GEL-Kayano trainer. 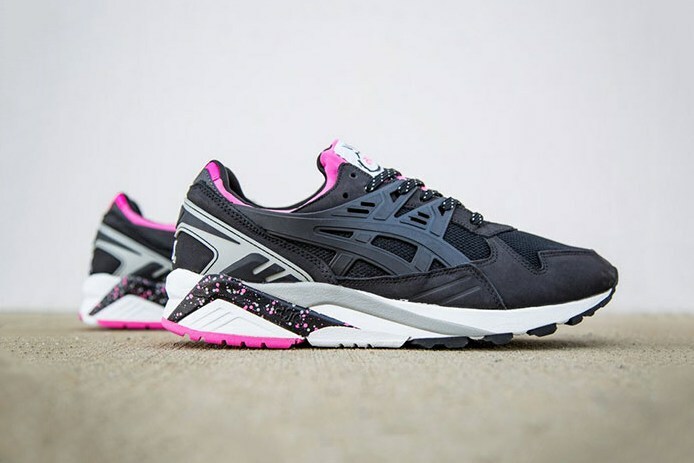 The latest ASICS GEL-Kayano Trainer “Black” features a familiar combination of neon pink, black, white, and grey. A black nubuck and mesh upper is accented by highlights of pink and grey as it sits atop a white midsole. A traditional tongue is replaced by a mono sock for optimum comfort and style. 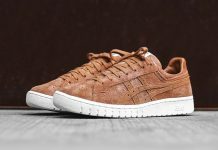 The midsole is treated to a speckled motif, rounding out the latest vintage addition to the ASICS roster. 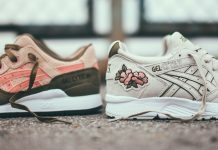 Priced at $120, the ASICS GEL-Kayano Trainer “Black” is available at select ASICS Tiger retailers like Bait.